PINE BLUFF, Ark. -- If you own a pond or lake, the warm spring weather probably makes you want to put that body of water to good use. But before you do, check your pond for aquatic weed problems. 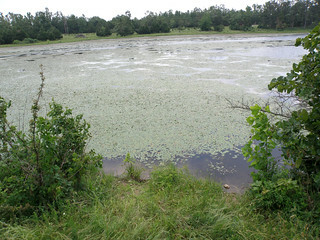 Aquatic weeds are especially a problem in older ponds, Selden said, and many Arkansas ponds were built long ago. Effective control measures vary widely among different types of weeds, and weed control begins with correct plant identification. For assistance with aquatic weed identification and control measures, contact your local University of Arkansas Division of Agriculture Cooperative Extension Service office.